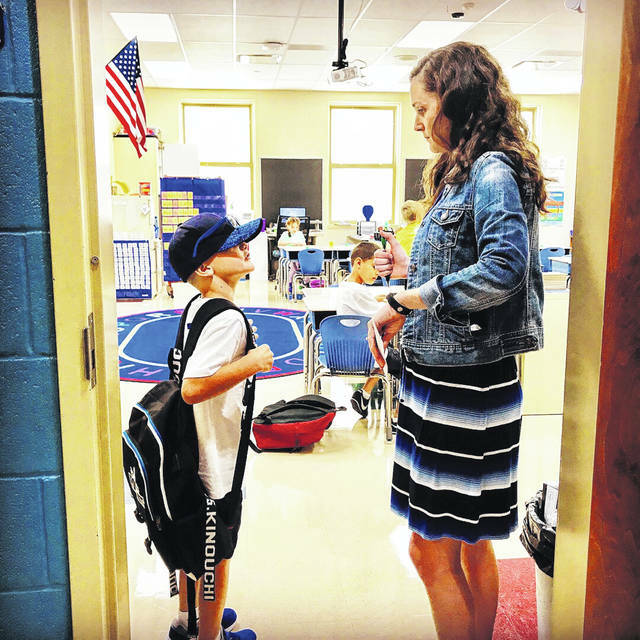 A new second grade teacher to Washington Court House City Schools and Cherry Hill primary, Amber Grigsby, meets with a student on his way in the door on the first day of school. Two girls hurriedly run to Courtney Dye (end of hallway) to start class on Monday morning. Cherry Hill Primary principal Craig Maddux helps little Lions off the bus on Monday. First grade teacher Kay Kimmet meets with her students first thing in the morning. Cherry Hill vice principal Maggie Lyons and this student were “Ready to CRUSH first grade” on Monday morning. Pauline Sanders serves two students breakfast during the first day back to school at Cherry Hill. Tiffany Null, first grade teacher, was ready to start the first day of school strong. 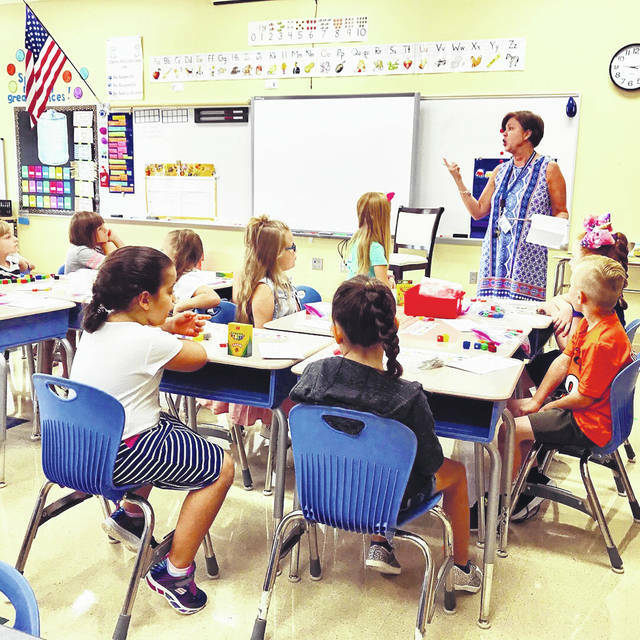 The Washington Court House City Schools Cherry Hill Primary first and second grade classes started on Monday morning. Kindergarten will continue on a stagger start for the beginning of the week. With many memories to make — and subjects to explore — kids came prepared with all of their supplies and backpacks in tow. 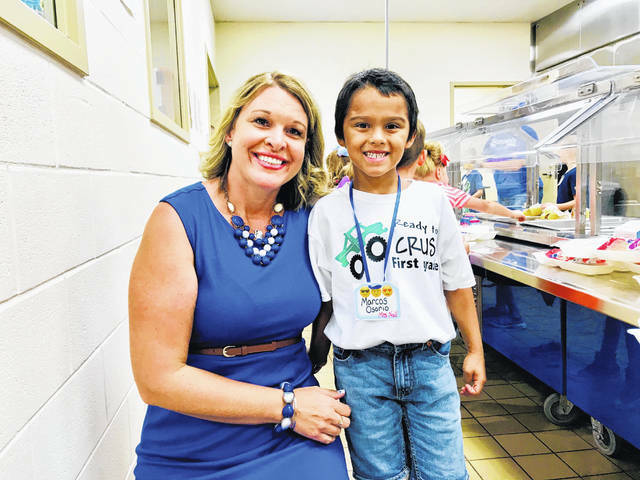 https://www.recordherald.com/wp-content/uploads/sites/27/2018/08/web1_AmberGrigsby.jpgA new second grade teacher to Washington Court House City Schools and Cherry Hill primary, Amber Grigsby, meets with a student on his way in the door on the first day of school. 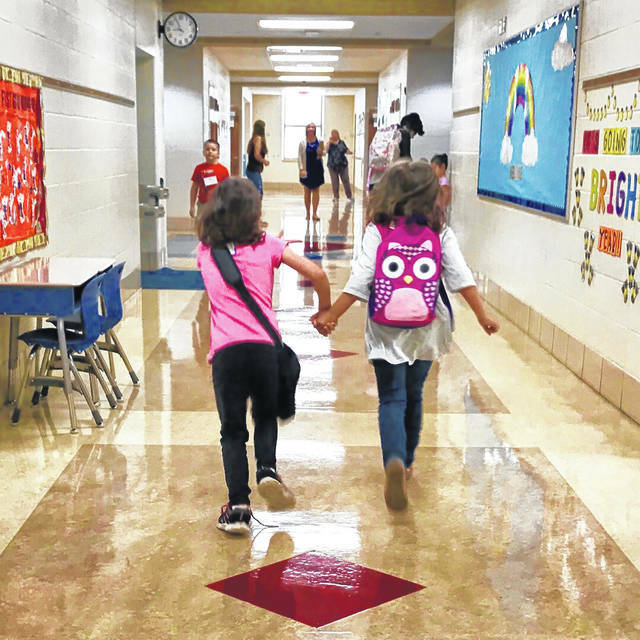 https://www.recordherald.com/wp-content/uploads/sites/27/2018/08/web1_CourtneyDye.jpgTwo girls hurriedly run to Courtney Dye (end of hallway) to start class on Monday morning. https://www.recordherald.com/wp-content/uploads/sites/27/2018/08/web1_CraigMaddux.jpgCherry Hill Primary principal Craig Maddux helps little Lions off the bus on Monday. 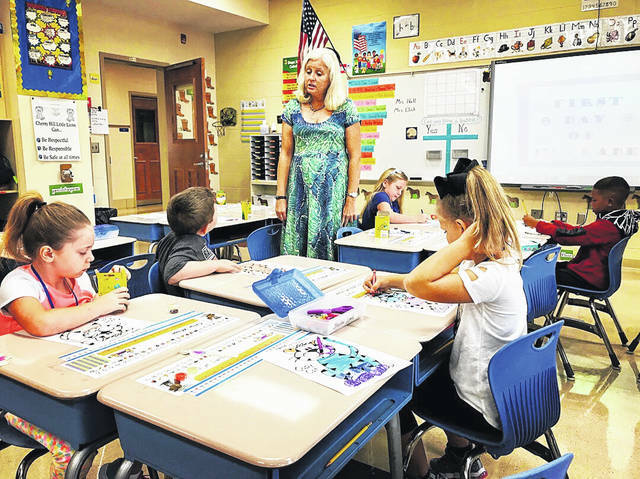 https://www.recordherald.com/wp-content/uploads/sites/27/2018/08/web1_KayKimmet.jpgFirst grade teacher Kay Kimmet meets with her students first thing in the morning. https://www.recordherald.com/wp-content/uploads/sites/27/2018/08/web1_MaggieLyonsWithKid.jpegCherry Hill vice principal Maggie Lyons and this student were “Ready to CRUSH first grade” on Monday morning. 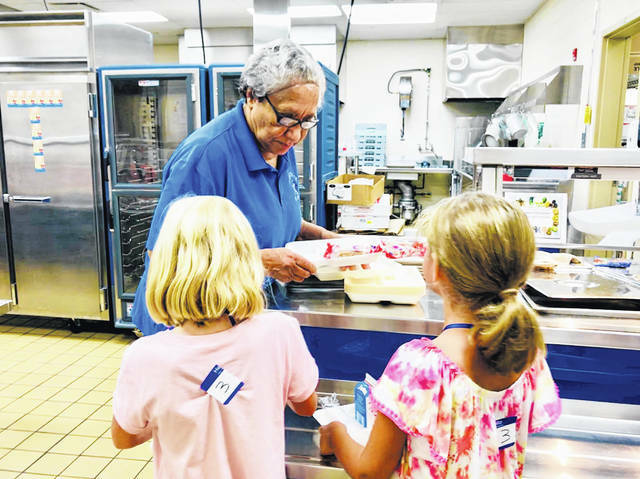 https://www.recordherald.com/wp-content/uploads/sites/27/2018/08/web1_PaulineSanders.jpegPauline Sanders serves two students breakfast during the first day back to school at Cherry Hill. https://www.recordherald.com/wp-content/uploads/sites/27/2018/08/web1_Tiffany-Null.jpgTiffany Null, first grade teacher, was ready to start the first day of school strong. 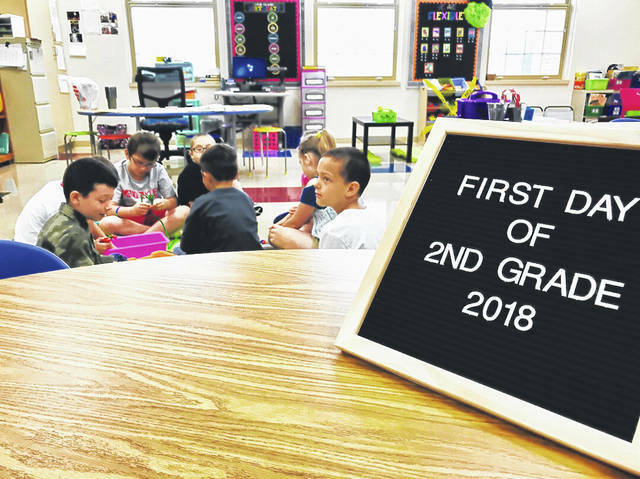 https://www.recordherald.com/wp-content/uploads/sites/27/2018/08/web1_FirstDayofSecondGrade.jpgThe Washington Court House City Schools Cherry Hill Primary first and second grade classes started on Monday morning. Kindergarten will continue on a stagger start for the beginning of the week. 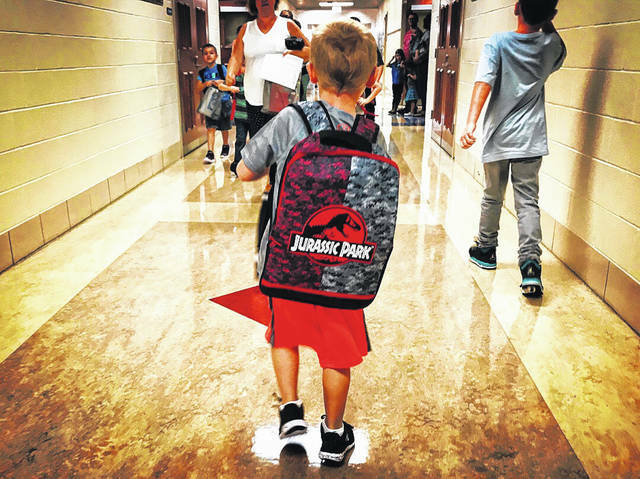 https://www.recordherald.com/wp-content/uploads/sites/27/2018/08/web1_KidsWithJurassicBackpack.jpgWith many memories to make — and subjects to explore — kids came prepared with all of their supplies and backpacks in tow.